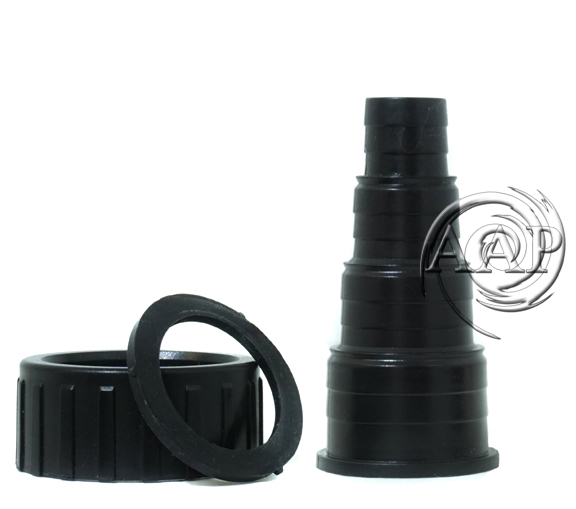 Simple to hide, highly efficient filters for your pond or a simple, reliable, high bio capacity canister filter alternative for aquariums. 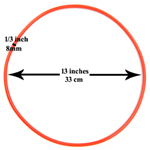 •	Can be placed in multiples or combined with other pond filters (including DIY Bog Filter) for larger ponds or filter redundancy. 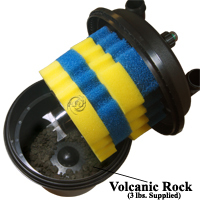 • We improve this filter by adding Volcanic Bio Filter Rock. 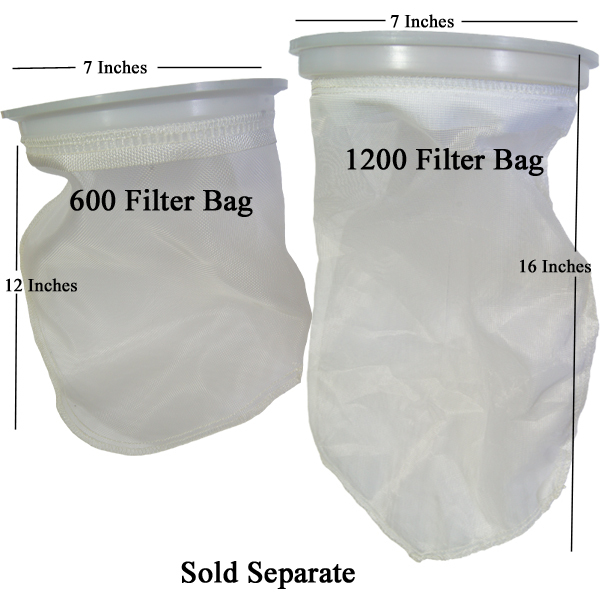 This increases both biological nitrifying and de-nitrifying abilities of this filter. You will not get this added feature with ANY other Pressurized Pond Filter, including another SunSun purchased elsewhere!!! 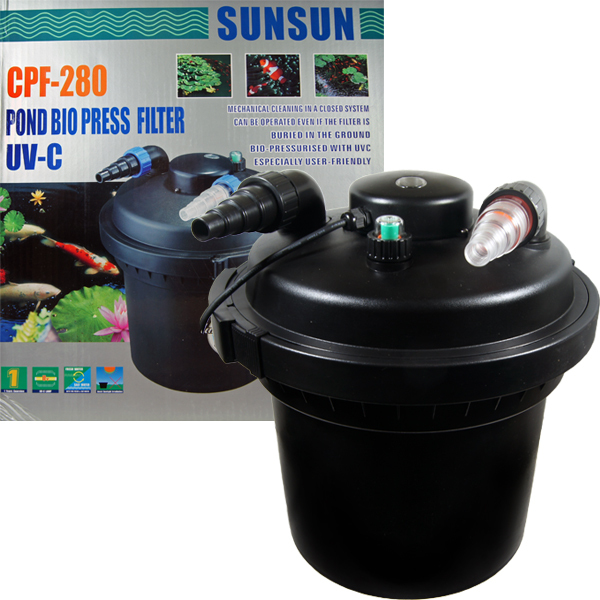 •	The SunSun CPF-280 Pressurized Pond Filter with UVC Sterilizer is equipped with a 13 Watt G23 UV bulb with a protected quartz sleeve. Water resistant ballast with E-39 wire connections and over 15 feet of wire allows the ballast to be remotely mounted close to a GFCI electrical outlet (Please see further information on the side bar of this web page about the use of Pressurized Pond filters with UVs; Further Information). 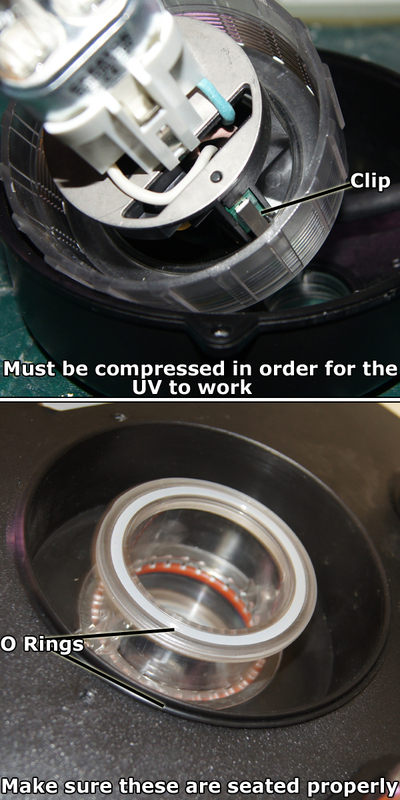 The UV does not need to be plugged in for proper operation of the filter. 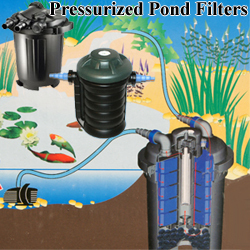 •	THE BEST PRESSURIZED POND FILTER, FOR THE BEST PRICE! 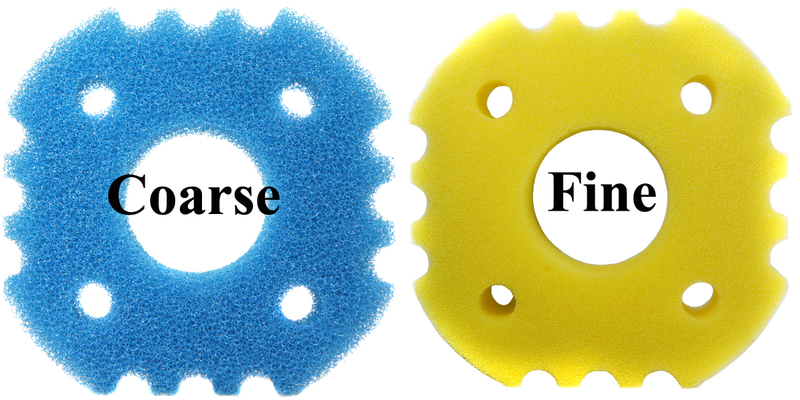 The animated picture to the left shows how the plastic assembly that holds the pond filter sponges in place comes apart. 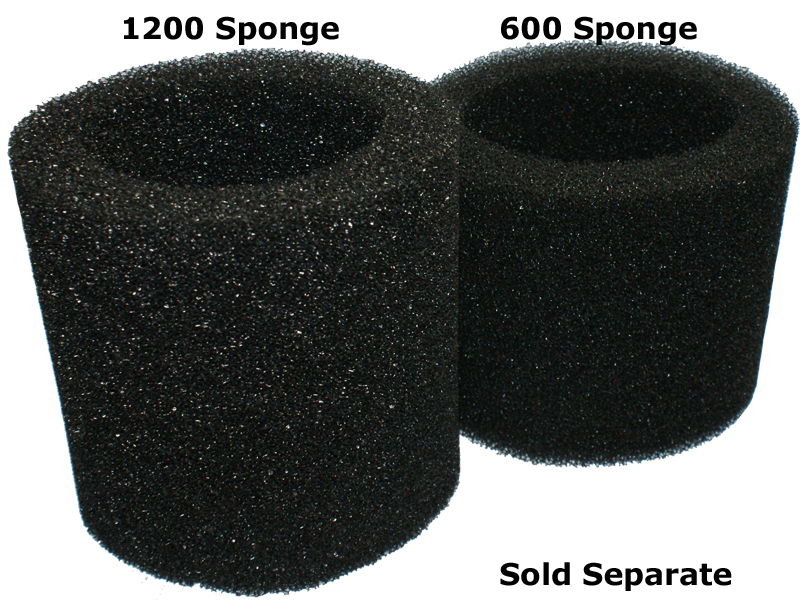 This is important/helpful for cleaning or simply if you would like to change the configuration of the filter sponges. The SunSun HQB-3500 Pump, or maybe the Rio 1700 Pump are our suggested/preferred pumps for aquarium or light duty pond applications using the SunSun CPF-280 Pressurized Pond Filter. The Rio HF (High Flow) Pump Line are excellent for medium flow to high flow application. With any water pump in a pond environment, adding rock such as volcanic rock around the pump used to power the Pressurized Pond Filter is strongly suggested so as to act as a pre-filter to prevent premature pump clogging and even damage. 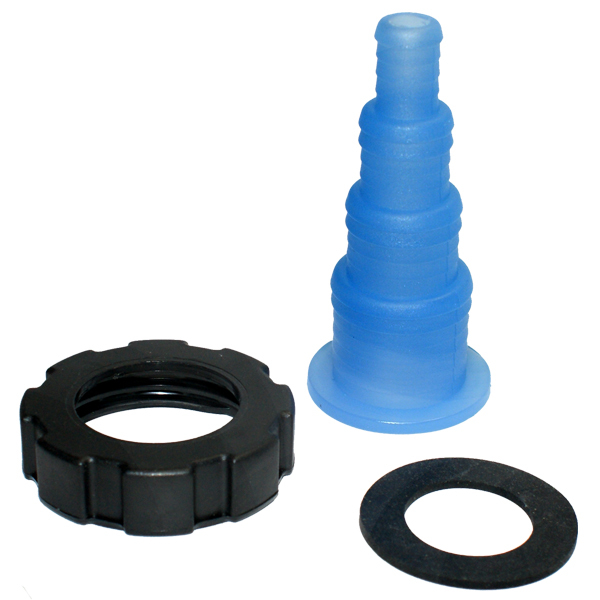 Often higher flow pumps may need the return line split with a flow diverter to provide the correct flow rate through your filter (we sell flow diverter on our Plumbing Parts page). 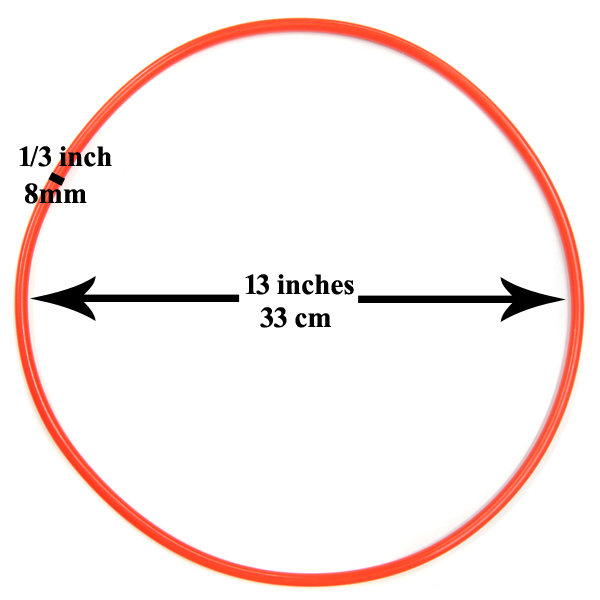 Although we do sell the SunSun Pond UV Filter, we do this as these are the only purchase options for these products. We have found that Filters with self contained UVs DO NOT work as well as a separate UV unit (from many years experience maintaining ponds as well based on established UV Sterilization data). The SunSun Heavy Duty Premium Pressurized Pond Filter is only available with a UV Sterilizer (as are most pressurized filters nowadays). ALL these Filter UV combinations (not just the SunSun) are only marginally effective for green water control without a separate UV Sterilizer added inline. Unless the green water problem is only mild, we strongly suggest the purchase of a TMC 15 or 25 Watt Pond Advantage UV Sterilizer Clarifier as a compliment. An important reason for why we recommend a separate UV Sterilizer/Clarifier is water flow rate and contact time. With a separate unit you can control the flow rate thru your UV much better than a self contained filter/UV, effecting a much better contact time and germicidal kill rate. The UV Sterilizers that come built into many pond filters including the otherwise excellent Clear Stream Pond Filter are often ineffective. This is true for ALL Pressurized Pond Filters (in fact many such as the Tetra are even less effective). The problem is that most come with UVs ranging from 5 to 18 watts, the 9 watt is being the most common (at least the SunSun is 13 watts). So when you install this filter to a pump that moves 2000 gph through a 9 watt UV you are effecting a 222 gph per watt rating which is generally useless (you need a flow rate UNDER 45-60 gph per watt for these filters!!). 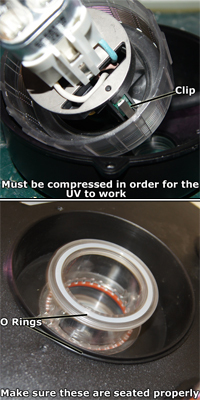 The pictures below demonstrate how your SunSun Pressurized Filter O Rings and UV lamp/bulb properly fit into the filter head.